← 90 Days of Low-Carb Recipes: Day 15–Mini Cheesecakes–only 1.6 Carbs Each!!!!! It’s not the most creative recipe title, but it does describe what it is. And it’s YUMMY! I wanted to use up what was left of the Rotel that I used in the Chile Verde the other day. In the past, I’ve done chicken and Rotel before, but last night, I thought of a twist that made it even more delicious. Preheat oven to 425°F (toaster oven: 450°F). You’ll need a baking dish large enough to hold your chicken. 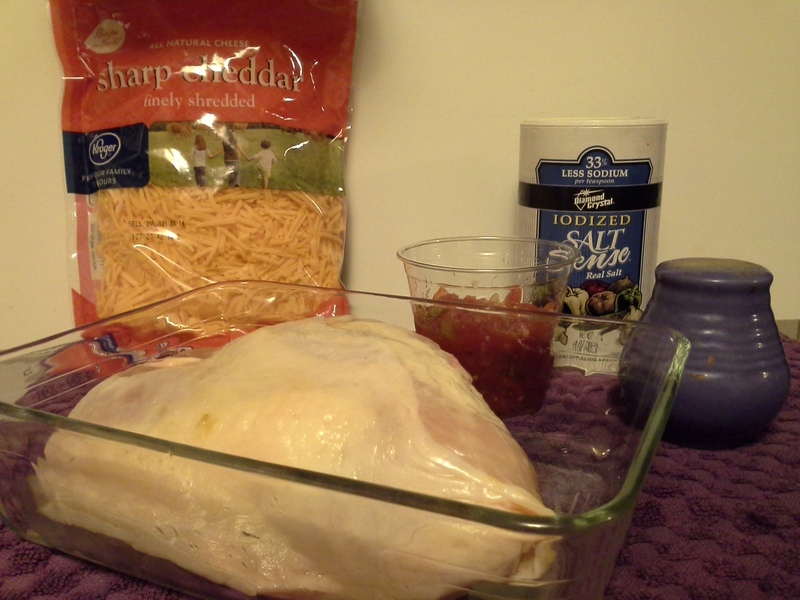 Season all sides of chicken with salt and pepper and place in baking dish. 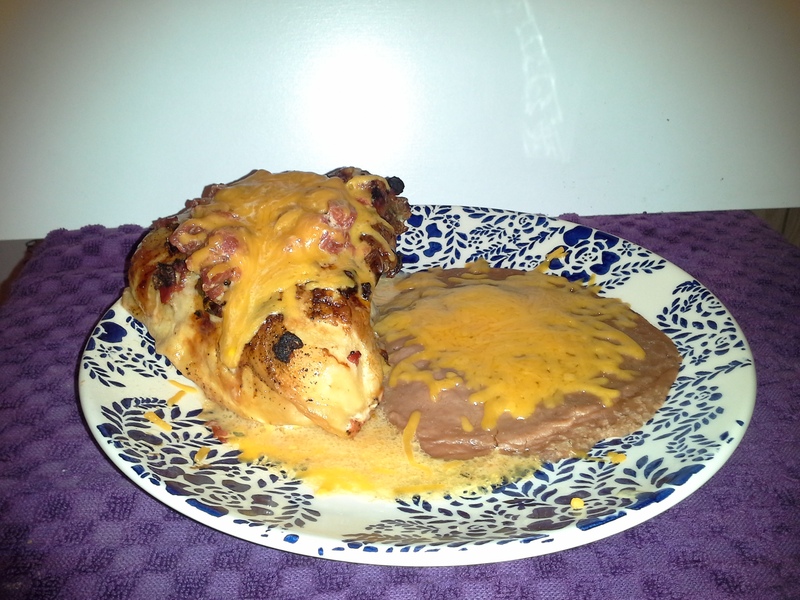 Pour Rotel over chicken. Bake 45–60 minutes or until juices run clear. Transfer chicken to serving plate. In baking dish, add sour cream to pan juices/Rotel and stir until completely melted and combined. Pour over chicken*. If desired, top with cheese and return to oven (or microwave 30 seconds) to melt cheese. *I didn’t use quite half of the sauce this made, as it would have been too much. I did still count all the carbs, though, just to be on the safe side. We are having Rotel-roasted chicken-mushroom-green chile-soup with leftover Cheddar Bay biscuits (biscuits for carb eating Dad.) We do think alike! 2. It’s faster and means less cleanup afterward. Because I work full time and need time to do other things in the evenings (like go to the gym, grade papers, and have a few minutes to have some semblance of a life), anything I can do to cut down on prep and cleanup time is worth it to me.